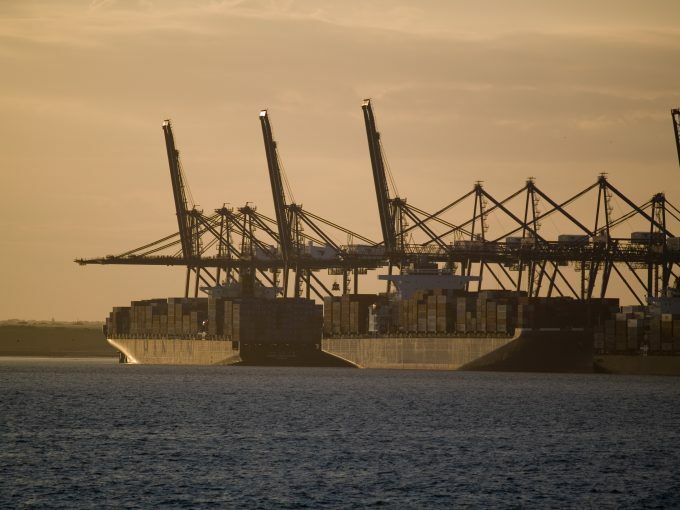 The UK’s major container gateway of Felixstowe is expected to continue experiencing severe congestion after the troubled implementation of a new IT system. An advisory issued by MSC said all carriers calling at the port were still experiencing “significant delays”. “MSC expects these delays to continue, which will affect vessel arrival times and collection and delivery slots. Its 2M partner, Maersk, also advised customers it was working with the port to resolve the issues, and Cosco issued a notification citing “severe delays”, which it said were leading to “serious service failures”. One source told The Loadstar the delays had resulted in the port suspending rail import services, although a spokesperson for the port denied this. Two vessels – Evergreen’s Thalassa Elpida and the MSC Cordoba – remain at anchor off the coast waiting to call at the port, as is the OOCL Japan, according to marinetraffic.com. The source said that some carriers were bypassing Felixstowe for alternative ports, including London Gateway. Felixstowe installed the nGen terminal system on Sunday, but despite claiming a “successful migration”, reports of severe delays and cancellations began circulating the following day. In a statement issued to customers on Tuesday, seen by The Loadstar, the port described the implementation of any major operating system as a “complex process”. “We are currently experiencing system communication inconsistencies within the container yard which are having a knock-on effect on yard performance,” it added.